My husband and his mom made the most INCREDIBLE curry rice balls the other day and I have to share them with you! They were super easy to make and so yummy!! 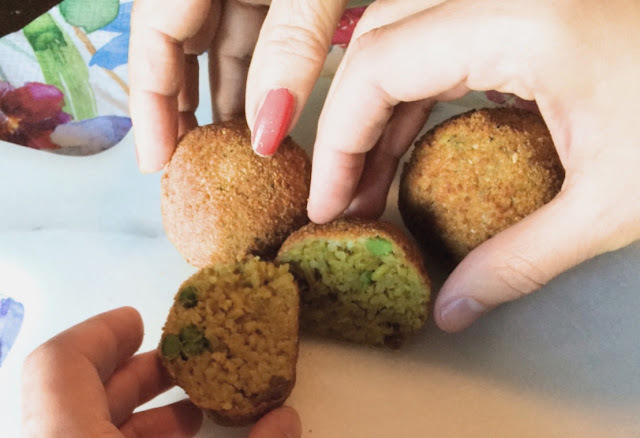 My husband is Italian, and like most Italian Mamas, his mom can make a mean rice ball. We called her to ask if she would come over and turn our curry rice into rice balls. Lets just say she thought we were crazy. We told her to trust us, and she came over hesitantly, sure they would not be as delicious as we thought they would be. Lets just say once they were done, they were gone in minutes and she may have asked for seconds! To cook the rice, cook the garlic and onion in oil over medium low heat until soft. Add curry powder and rice to the pan and cook, stirring, for 1 minute. Add the water & salt and boil uncovered for 7-8 minutes. Reduce heat to low and cover pan with a lid and continue cooking for 15 minutes. Remove the pan from heat and let stand for 5 minutes. Once the rice is cooked, fill your sink with cold water and transfer rice into a bowl. Place bowl in cold water to cool down the rice. 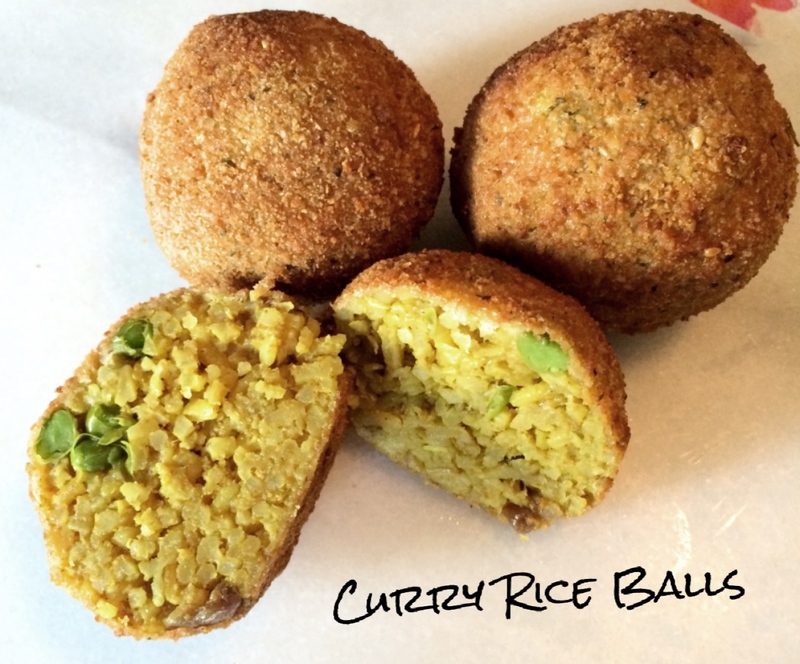 When rice is cool, roll the rice into balls. Set up three bowls, one with flour, one with beaten eggs, and one with breadcrumbs. Roll the rice in flour, then egg wash, then bread crumbs. Cook in enough vegetable oil to cover rice balls until golden.